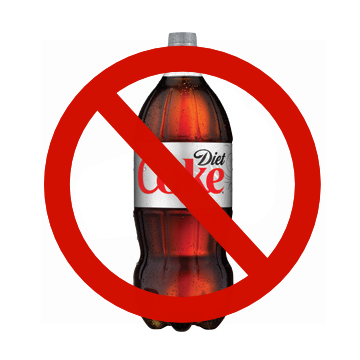 New York City — In the fight to stop national obesity, New York City mayor Michael Bloomberg has recently proposed a ban on sugared beverages larger than 16 ounces. If passed, the bill would go into effect in March of next year. Bloomberg’s proposal would apply to both the sweetened soda and coffee that are sold at any “food service establishment,” including: restaurants, movie theaters, and street carts; leaving it still legal to purchase said items at grocery and convenience stores. It does not apply, however, to diet soft drinks, fruit juices, dairy-based drinks (like milkshakes), or alcoholic beverages. “All across the country, everybody recognizes obesity as a growing, serious problem…But everybody’s just sitting around wringing their hands, not doing anything about it…I think it’s fair to say that while everyone else is sitting around complaining, New York City is acting, ” ~ Mayor Bloomberg, May 2012. Despite all of the hyperactive thinking about soda, citing reports that less sugary beverages are being consumed, yet obesity continues to increase, as was mentioned in an article by The Atlantic Wire. But, as New York Magazine proclaims, this “attack on delicious things” may be more of a problem than a remedy. The not-so sweet ban is also being called “socio-economic discrimination” by Jen Doll, a reporter at The Atlantic Wire, because of the unfair advantage of beverage choices the rich have over the poor. The price of a 16 ounce can of soda will normally run you, say, $1.99 at the most. But, a can of orange juice of the same size would be about $1.50 more — at least in Connecticut. It is also important to remember the basic law of supply and demand, as it very much applies to this ban. If less of an item is made available, there is less distribution and sales; so, less revenue is made for the manufacturer, and, as a result, prices increase. Economics 101 also reasons that higher prices equal less sales for vendors, and, quite probably — and unfortunately — less jobs at the manufacturing companies. Since grocery and convenience stores are the only suppliers of said product, they corner the market, monopolize sales, and, overall, become the ultimate deciders of pricing this type of item. So, what’s the really healthy choice? Basically, healthier equals less need for Health Care. But, of course, that’s just one idea. Fung, Brian. The Atlantic. “Under Bloomberg’s Soda Ban, the Original Four Lokos Would Be Legal.